Product prices and availability are accurate as of 2019-03-23 21:31:34 EDT and are subject to change. Any price and availability information displayed on http://www.amazon.com/ at the time of purchase will apply to the purchase of this product. Visit a supermarket, big bag and pouch, heavy articles, that is very troublesome. 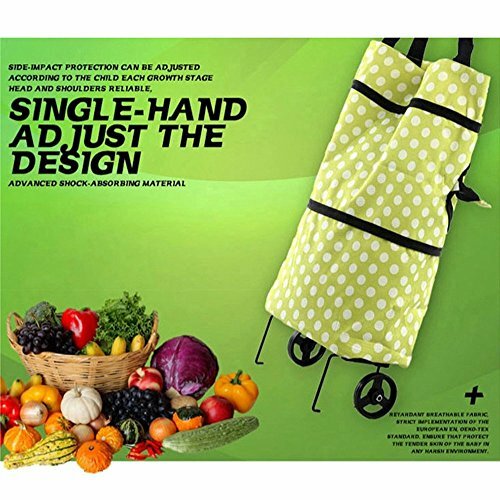 There is a super convenient hanging bag and tugboat, working as a carrying small cart, the weight pulling the heavy goods away without any effort. It is an eco-friendly and fashion reusable grocery bags and the bag clips onto the side of your shopping cart, so you can add items quickly and easily. Feature a velcro closure, as well an outer pocket that's perfect for wallets, coupons, and recipes. Folds flat for easy storage. 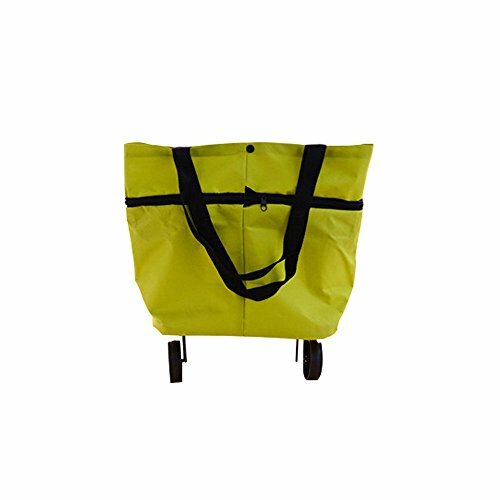 The Tugboat shopping bags constructed of thick oxford cloth and high quality- wide design handstrap with foldable wheels, it is multipurpose package. Size: Before stretching: L*H -15.35" * 12.4"(39*31.5cm), After stretching: L*H- 15.35"*19.29"（939*49cm） It is a shopping cart but also a shopping hand bag which can change freely and shopping conveniently. Hanging over the shoulders or dragging heavy articles walking! Stretching it whenever you need. Just open the zipper on the bag and the shopping bag is stretching. 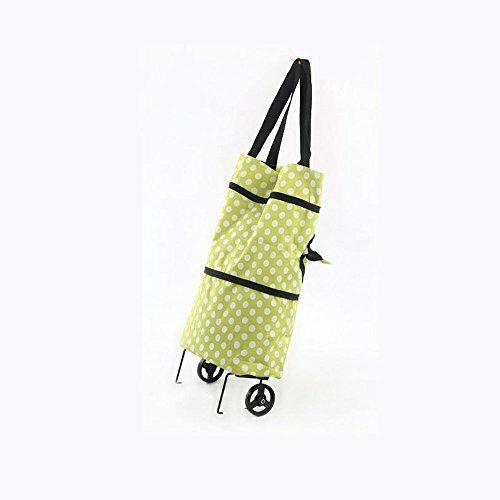 It is large capacity and suitable for supermarket and Grocery shopping. The bottom is PP board with foldable wheels and button closed, enough firm and solid. It is suitable for camping, picnic, spring trips and other activities.